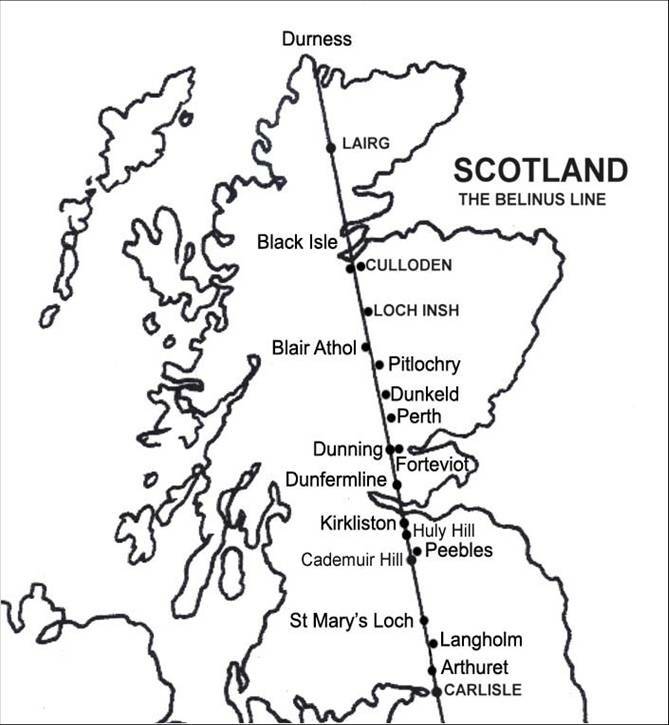 Belinus is the ley line, an energy line on the earth’s surface, that runs from the north to the south of Britain. This energy line is made up of the male and female currents, Bel and Elen. 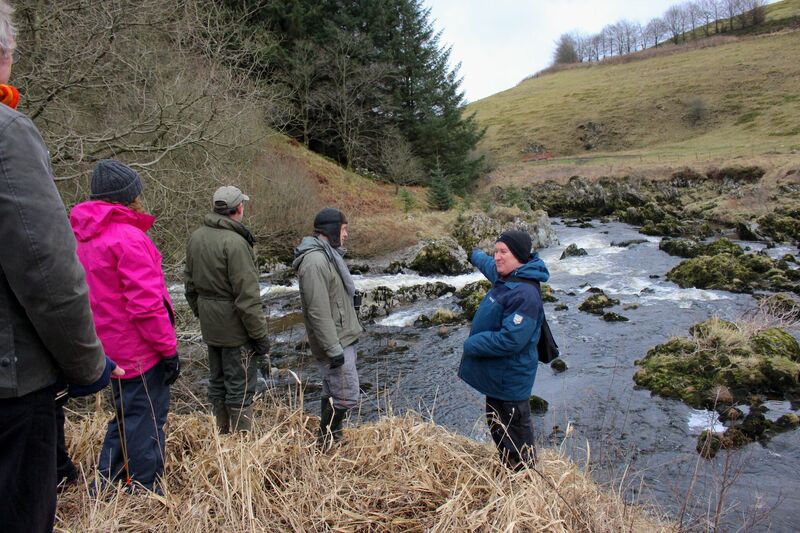 Our quest went from Gretna Green to Langholm; with the help of professional dowser Grahame Gardner and Dr. Jan Hogarth, we explored the development of human gathering places and sacred spaces along this section of the energy line. 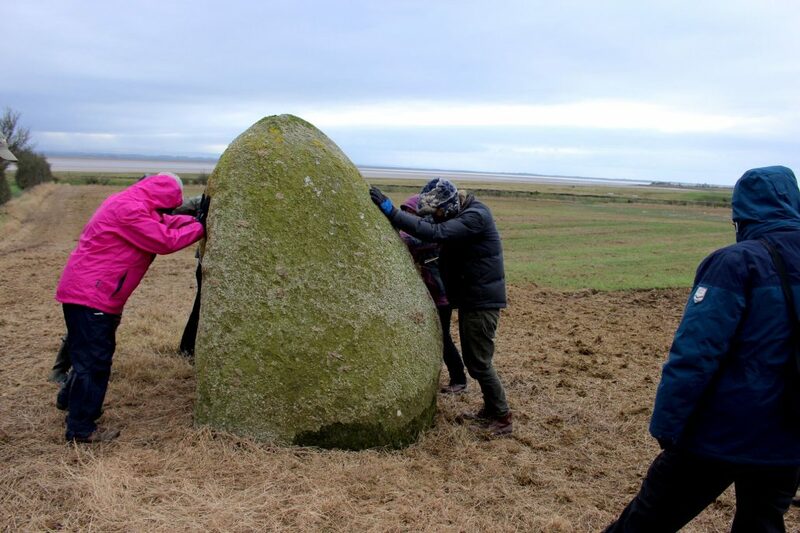 Our small group of intrepid winter questers met up in Gretna Green to gather at the Lochmaben Stone for our crash course in dowsing. We bundled up against the rather cold and windy weather that lent a certain mystic atmosphere to the day. 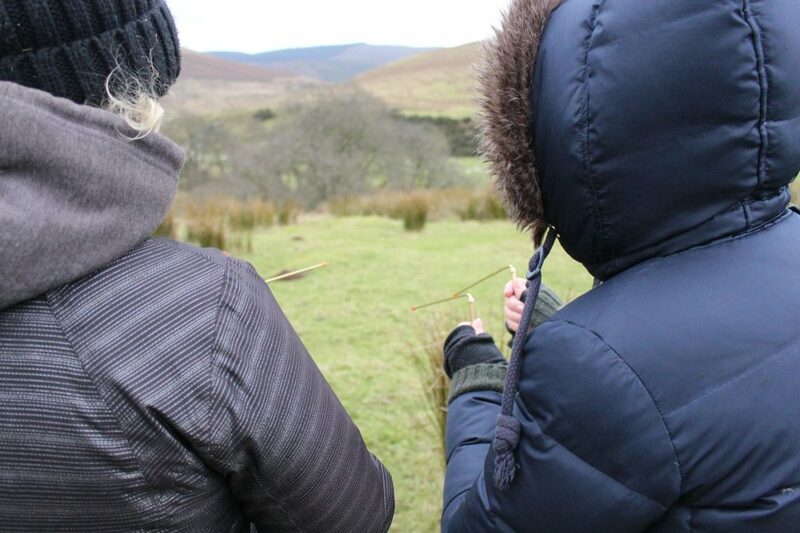 We passed out L-shaped dowsing rods, two each, made of brass, set aside any doubts or skepticism, and had unexpectedly good results for a group of raw beginners. Grahame demonstrated some general dowsing techniques explaining how to focus your thoughts when dowsing for energy or water, to ask your rods questions, and to let them respond. We practiced trying to locate the energy line by asking for the center and then for the edges, walking back and forth across the area where Grahame’s rods responded. After few tries, each of us managed to get a locating response, so moved on to learning about the energy directions. Each line is made up of energy bands that flow in alternating directions. Because there is always an odd number of bands, the direction that more bands flow in, is the overall direction of the energy flow, and in our practice area the energy flowed directly towards the stone we were headed for. 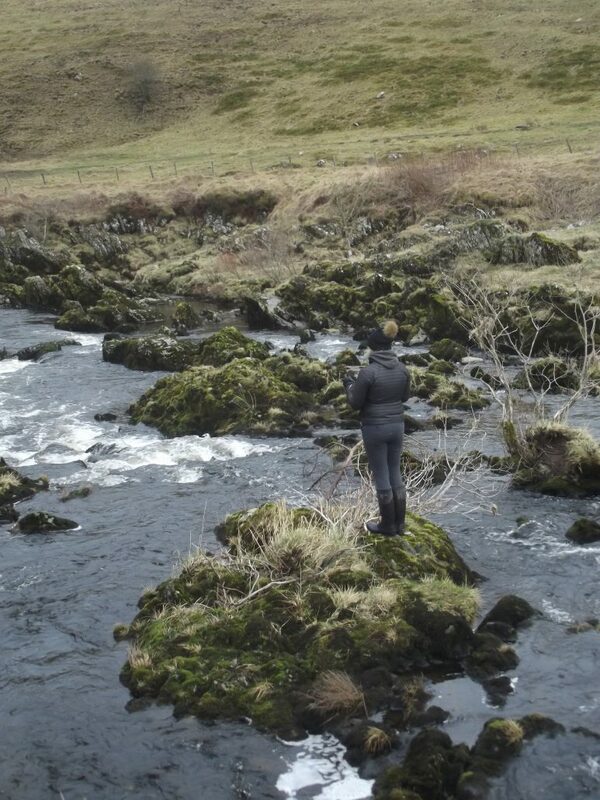 I found that my rods sometimes moved very confidently, and at others, they moved slowly in a halted and jerking response as though they were not impressed with my amateur focus and meandering thoughts wondering if the wind was affecting their movements. We were passed a small cardboard slip with an array of color blocks. We were to use these to see if we could find the color of the line’s energy. Most of the group agreed that the line responded to blue that day, while I confess that I never got the hang of figuring out the line’s color. At least I was much better at distinguishing the direction of flow in the energy bands. We crossed the fields at Old Graitney farm to what was left of the stone circle here. Most of the stones have been removed or buried, but two remain. One is half buried, embedded in the fence line, and the other sits mostly above the ground a few meters away looking out at the Solway. The Lochmaben stone has been a gathering place throughout history. 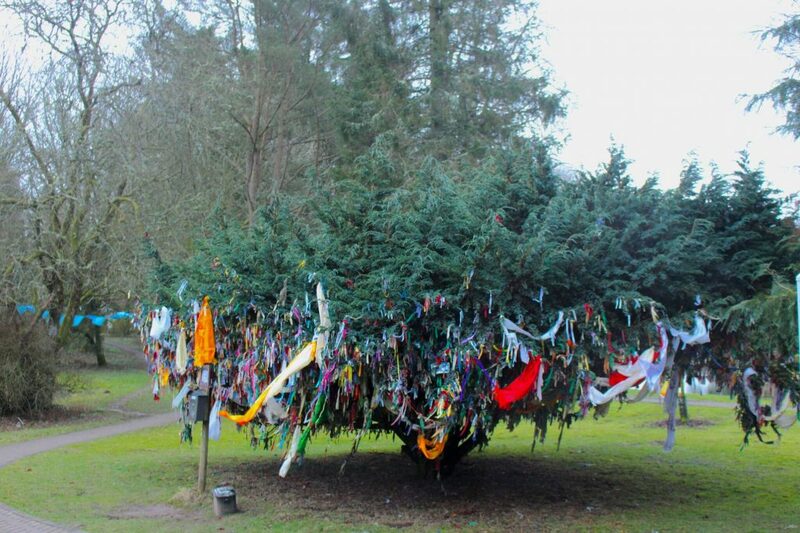 It is thought to have been a central site for Celtic worship of Mabon, a god of fertility. Armies have assembled, fought, and exchanged prisoners here. Even the energy line currents gather; we watched Grahame use his rod to follow the paths of the two nearby lines as they converge in a node at the stone then return to their paths. Jan is the group’s expert at finding energy vortexes; her dowsing rods spin in circles whenever she finds them. There is usually an energy vortex over the top of the stones, because of something termed “megalith energy bands.” Earth energy is absorbed into the stone creating seven bands or chakras that flow in opposite directions, five of which are above ground. We used our rods to find the fifth band and place our hands on it. By moving our feet farther away from the stone and slightly bending our knees, we can feel the energy of the fifth band. Grahame said that the energy pushes you off the rock, twisting you in the direction of the energy band. On this rock, I could feel the energy pulsing through my palms up my forearms to just below my elbow, but it did not push me away like it did for others. We tried again at the end of the day at another stone circle. There, I felt the twisting power pull one rock out from under my hands. The remnants of this stone circle is an ancient one, but as time passes and more people gather at the energy lines, newer structures are layered on top. 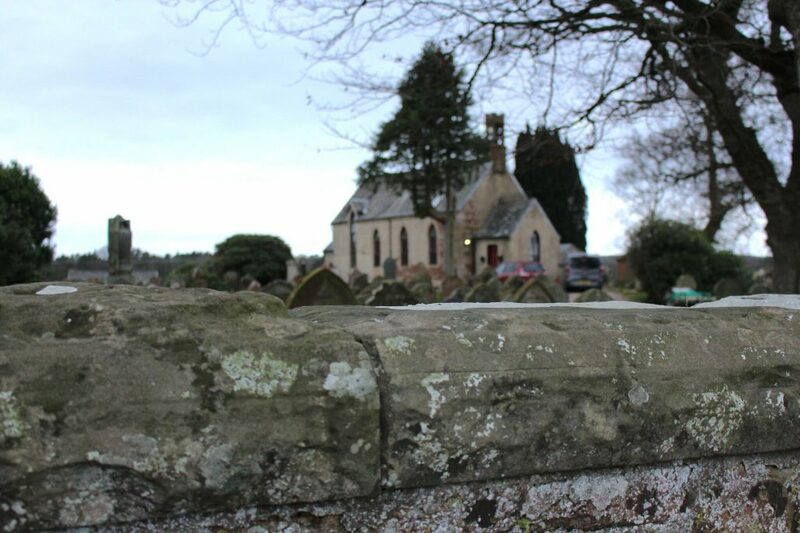 Our second stop, Half Morton Church House in Chapelknowe was built in the late 18th century just to the North of the Lochmaben stone along the current. 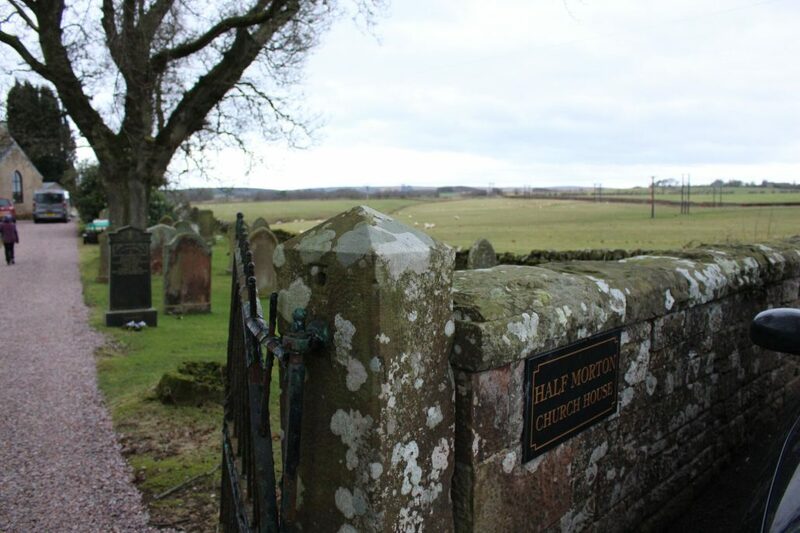 In the churchyard, are graves inscribed with reiver family names, border raiders with a long history of turmoil and war, at rest in their place of worship. However, in the fields behind church are the parallel lines of a neolithic cursus, long earthen banks that are some of the oldest monuments in the British Isles. They are easiest to see by aerial photography, but Grahame was able to dowse them from a distance. We also had a chance encounter with the current owner and resident of the church house. He was happy to talk to us and share the story of how he came to live there. He told us that after a very difficult time in his life, he experienced a calling to convert to Christianity, sell his business and relocate to this church. His story is the latest of people called to this spot throughout time as layer upon layer of gathering places have been built here from 3000 B.C. to the present. According to Grahame, the male energy current is usually aligned with elevated parts of the landscape while the female energy current is associated with the valleys and low areas of the landscape. The supposed location for the ruins of St. Bride’s Chapel, for the Celtic-British mother goddess, is unusual because it was located on the top of a hill along the feminine current. Unfortunately, here the elevation meant it was the windiest place in our excursion and far too windy to properly dowse; it was impossible to decide if any of the boulders in the field could have been the remains with the energy line running through it. While seeking shelter from the blowing wind, a few of us found a valley where there looked to be a spring, and we decided it could be St. Bride’s Well since our dowsing rods did find some energy there, which was an exciting and unexpected discovery. Continuing northward, we arrived at the merging of the Black and White Esk. The point where the rivers converge is a traditional gathering place called the Handfasting Haugh. The handfasting celebration was for unmarried people to commit to living with a companion of their choice for one year. After that year was up, they could choose to separate and make a new choice or to continue for life. 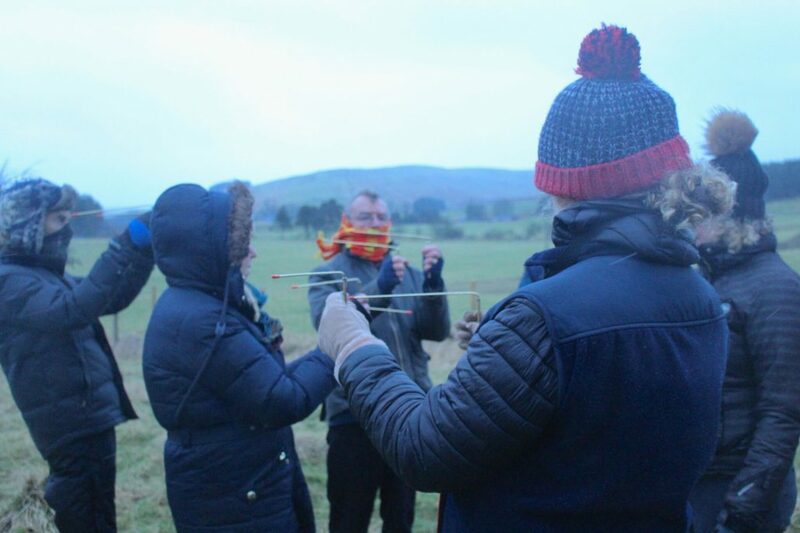 Here we were protected from the wind, so we spent a lot of time from the bank practicing dowsing the water’s energy and using the dowsing rods to ask questions which required a very different concentration to dowsing energy lines. While we wandered we wondered together just how the dowsing works. The dowsing rods require concentration so it seems safe to assume that they do not channel the earth’s energy on their own. We wondered if perhaps, people used to be able to recognize and interpret this energy without the use of dowsing rods. Does that mean our bodies can still speak to the earth in a way that our mind has forgotten? So in this way does our body register the energy of the lines and help our hands make micromovements to move the dowsing rods without conscious noticing to tell us what we already know or is it something more mystical and mysterious? In this place, even the cloudy sky seemed lighter and the gurgling of the two rivers down their paths lent a vibrant serenity to this secluded area, as though the positive energy of generations of companionship ceremonies had permeated the rocks and grown into the trees, grasses, and mosses. Or did that positive energy originate from the line, which drew people to this place for their ceremony? 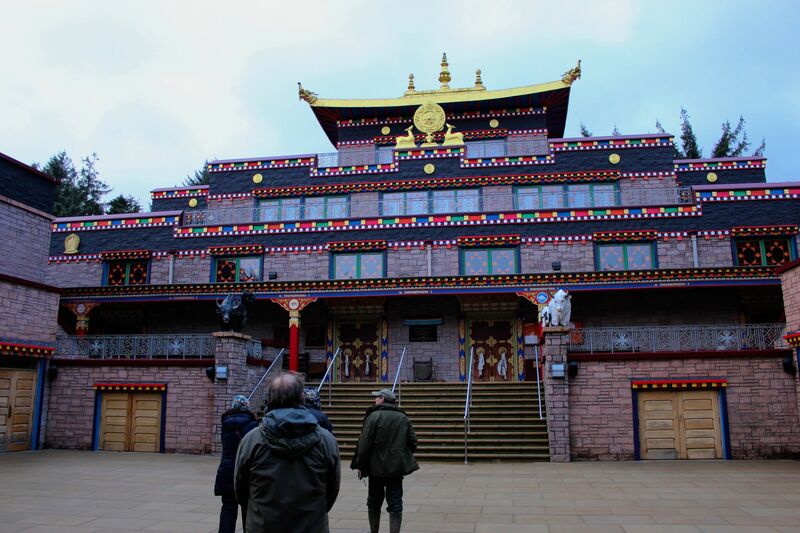 Snow started to fall as we made our way to Kagyu Samye Ling Tibetan Buddhist Center. This center was built on the location of an ancient holy spring along the feminine current, Elen. 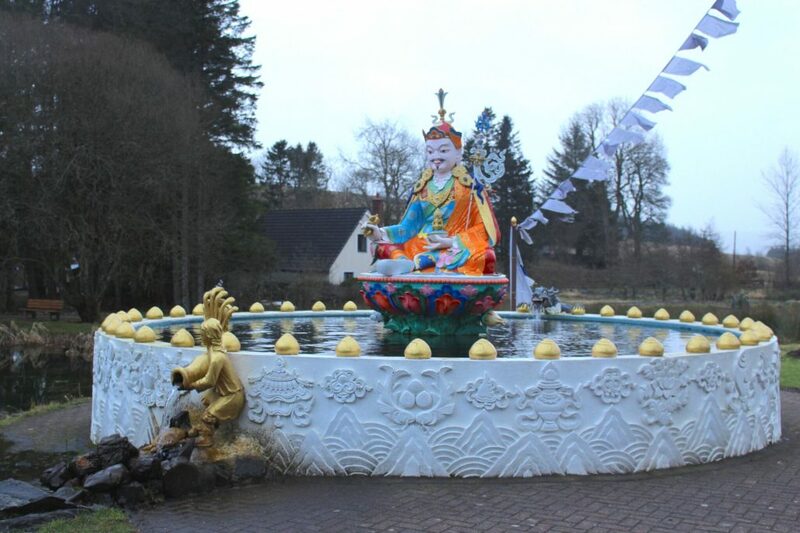 The temple and its surrounding gardens are peaceful and calm. It is a perfect place to break for tea in the cafe and meditation in the temple. We compared the energy at the river here to the river energies of our last stop. I thought that both places felt serene, however, the Handfasting Haugh was a joyful serenity compared to this quiet serenity covered in a light dusting of snow. 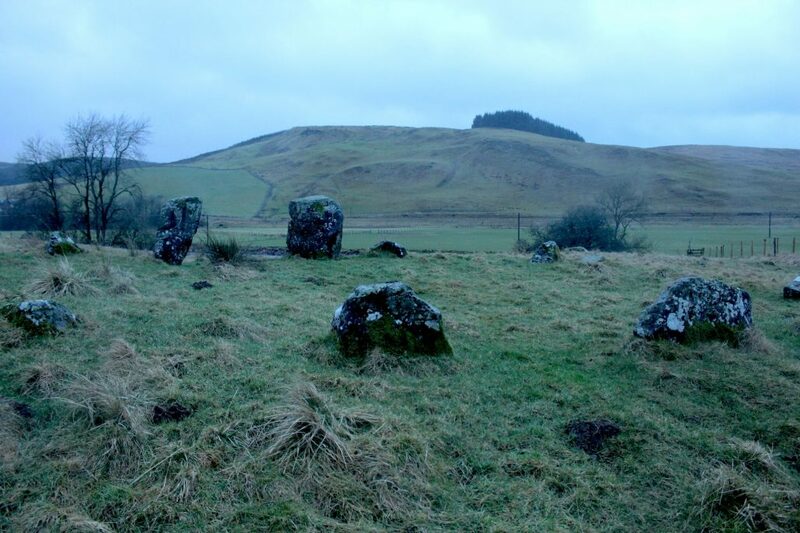 The first circle, the Loupin’ Stanes, is smaller with only 12 stones, only two of which are vertical. 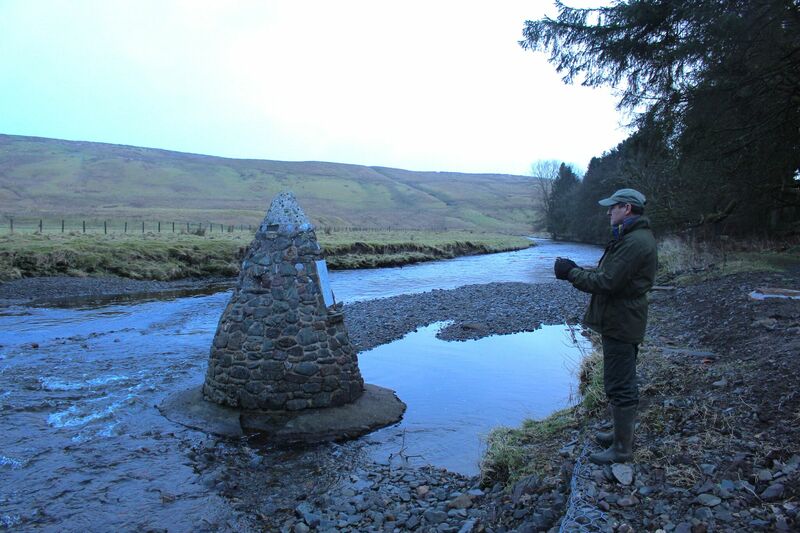 The one energy line that intersects this circle goes directly out between those two stones in a straight line to the Girdle Stanes, a much larger circle, half submerged in the river, with 26 stones of the original 45 remaining. This straight path between the two close stone circles has lead to speculation that the two were oriented to lead from one to the other. If this is true, I think it is more likely that the Loupin’ Stanes points toward the Girdle Stanes following the direction of energy flow to where a second energy line crosses Elen directly in the center. This circle was our final point of gathering, where we wandered about in the snowy dusk exploring with our dowsing rods. Here is where we experienced the earth’s energy move us through the rocks for a second time that day, and although, I could not feel any energy from the fifth band of the third rock that I tried, it was the perfect rock for laying down and resting on. We took turns with the earth’s energy soaking up through our backs instead of twisting us away. 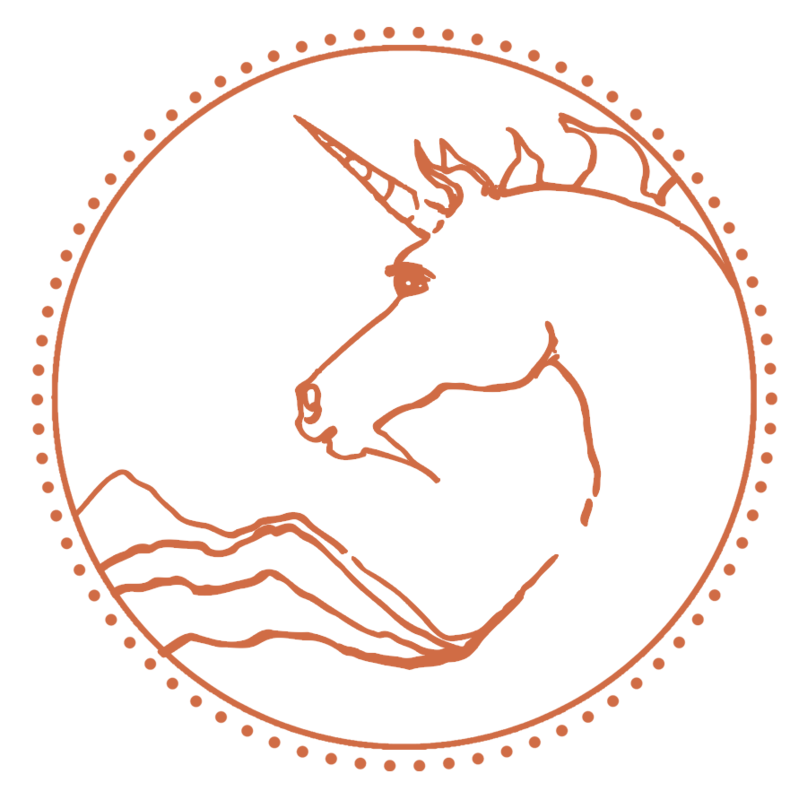 Our path followed Belinus and along that line we found the sacred and spiritual gathering places of the ancient, the modern, and the in-between, sometimes built adjacent and sometimes layered on top of each other. Throughout the world castles, temples, and monuments have been built along these energy paths as people gather there, and we are left to wonder how much was intentional and how much was instinctual. We know that people built their sacred spaces in these areas, but we do not know if building those had an effect in the opposite direction. Does building on the energy line affect the path of the lines as well, like the lines curl and bend around the node of the Lochmaben stone? Ultimately, we are left with the wonderful thought that there is always more to discover. Blog written by Laura Schrader who is studying “Environment, Culture and Communication” at University of Glasgow’s Crichton Campus in Dumfries .